The 2017 Eurovision Song Contest final is due to take place this Saturday (May 13) at the International Exhibition Centre in Ukraine's capital Kiev. Who will win this year? 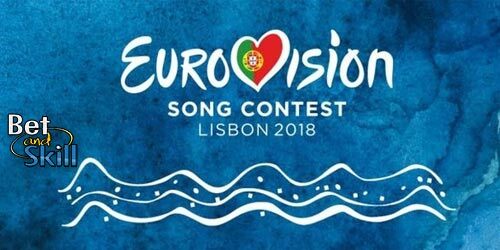 This article contains our 2017 EUROVISION SONG CONTEST betting preview, with predictions, betting tips, best odds, free bets and no deposit bonuses. Italy are the odds-on favoruite this year, as they will be competing with Francesco Gabbani and his award winning song Occidentali's Karma. The English translation of the song's title is 'Westener's Karma' and references 'Hamlet.' He dances with a gorilla on stage and the video has been seen by over 100 million viewers on YouTube. Another very fancied pick that's also in a foreign language is the second favourite from Portugal. 'Amos Pelos Dois', which means 'Love for Both' in English, a bit jazzy with a hint of Bossa Nova and is described as a sad love song which wowed TV viewers at home when it in appeared in Tuesday's semi-final. Bulgaria have a good chance this year with the wonderfully named song 'Beautiful Mess' sung in English by Kristian Kostov who has only just turned 17 and has done well in reality TV shows such as 'Bulgarian X-Factor.' in which he finished second. Welsh singer, actress and model Lucie Jones, a finalist on series six of the X-Factor in 2009, represents the United Kingdom (altough the Brexit). With her excellent vocals, Lucie have really lifted "Never Give Up On You" ans she is tipped to finish in the top 10 of the final standing. Sweden has a very strong recent Eurovision pedigree, winning in 2015 and 2012. This year's entry "I Can't Go On" by Robin Bengtsson, has an incredibly catchy chorus and could get plenty of votes from the Nordic countries, as usual. Hosting country Ukraine comes with a hard rock number, sung by the O.Torvald band, and should not represent a threat this year. Belgium is another strong contender. Blanche will be representing the country wuth her song City Lights. It is an up-tempo but quite dark and the sort of song you might expect to accompany an advert on TV for a top-end family saloon. Artsvik has been chosen to represent Armenia and comes with an entertaining accompanying dancing. She will be performing the song "Fly with Me" and should be Bulgaria's only real competitor for top points in the East. Nertherlands will bring three sisters on stage, named O'G3NE. They are singing the song Lights and Shadows, a song with melody tha, in our opinion, is unlikely to make a great deal of impact. Outsiders? Croatia, represented by Jacques Houdek and his "My Friend", is downright bizarre with young Jacques singing in two different voices throughout. 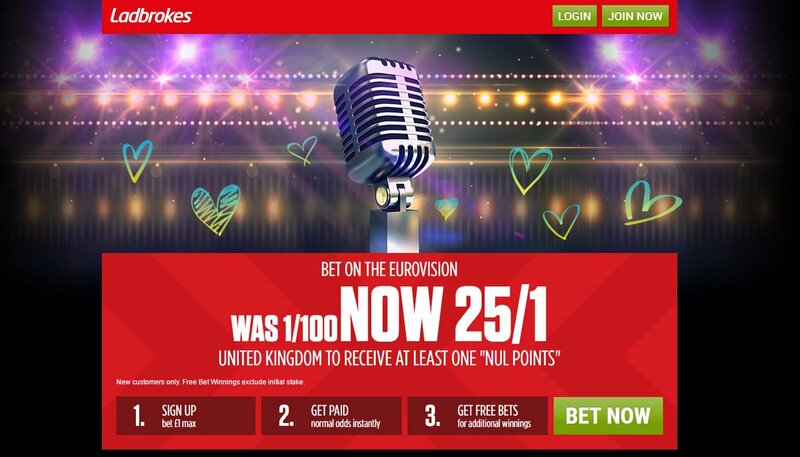 "Eurovision Song Contest 2017 predictions, betting tips, odds and free bets"